Employment disputes cause employees very complicated and compelling challenges, and may result in harm to employees on several different levels, including not only professional and financial, but also personal and emotional. If you are encountering an employment challenge, you may benefit from securing the counsel of an employee rights attorney who will work with you to identify your individual needs and attempt to fashion the course of action which is most consistent with your individual needs. You need an employment solution which is meaningful to you, not merely a one-size-fits-all approach. The Law Offices of Alan Adelman is dedicated to working with you individually to attempt to identify and achieve the resolution which is most meaningful for you. Whether the solution involves recovering damages resulting from an unlawful termination, recovering unpaid wages, obtaining an accommodation for a disability, stopping harassment or discrimination, securing a severance package, or obtaining practical and meaningful advice regarding an employment matter, the Law Offices of Alan Adelman is focused on helping you to identify and achieve a solution which is most suited for your individual needs. Being an employment rights attorney allows me the opportunity to positively impact your situation when you have been treated unlawfully by your employer. My focused and individualized approach to representing employees is geared toward helping employees identify and achieve meaningful solutions for a wide variety of employee rights issues. If you have been mistreated by your employer in San Francisco, California, or anywhere in the Greater Bay Area, contact me to learn about your rights and options. The Law Offices of Alan Adelman is focused entirely on identifying and achieving the individualized solutions that employees who have been treated unlawfully need and deserve. The sole objective of the Law Offices of Alan Adelman is to assist employees who have been wrongfully terminated, discriminated or retaliated against, denied wages or otherwise treated unlawfully by employers. For over 20 years, I have worked exclusively on protecting employees' rights. My focus on employees' rights has allowed me to remain up to date on the changes in the employment laws, which enables me to provide knowledgeable representation for an employee's individualized needs. I have over 20 years of experience using the law to provide solutions for employees, and I use all of that experience for each and every employee who I represent. 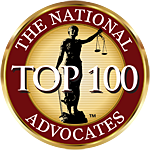 I have successfully represented several hundred Northern California employees in a wide array of employment law matters. If you think you have been treated unfairly by your employer, either call 415-906-3331 or contact me online. In all litigation cases, I offer a contingency fee arrangement, which means that I don't charge any attorney fees unless and until the lawsuit is successfully resolved and a recovery is secured.